Fighters have been a big pain point for small to medium gangs for awhile now, especially the long range heavy fighters which feel incredibly broken right now, so I thought it would be a good idea to take a look at some ~real life~ fighter DPS numbers versus typical sub-capital ships, and what the anti-subcap ship of that size can deal out. 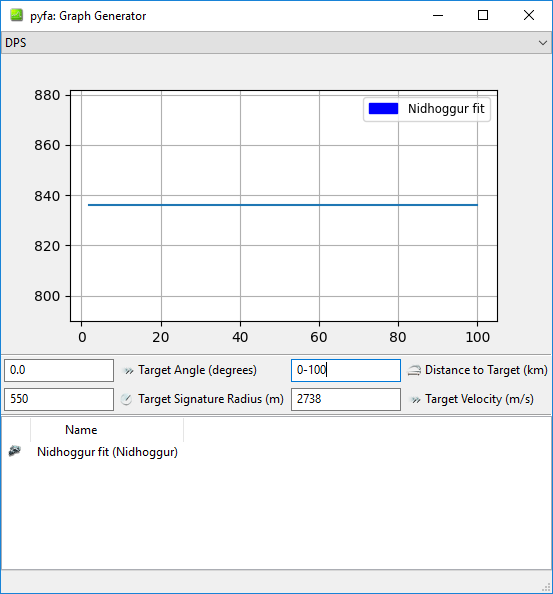 So first of all, let’s take some typical Carrier and Super Carrier fits; Starting out with the standard ratting Nidhoggur fit. This Nidhoggur fit is something I personally ratted in for about a year while I was in KarmaFleet in Goonswarm. It deals just shy of 1.8k DPS sustained with turret attacks on the fighters, and 2931 DPS when you take into account the limited missile abilities. I used to have Imperial Navy DDAs on my Nidhoggur, at the time they were 100m each, however Navy DDAs have risen in price to close to 200m each, so I decided to use T2 instead for the fit here for demonstration purposes, as it’s more realistic and more conservative. When using the MWD ability. The fighters travel at 14.8km/s so are completely unavoidable and go just shy of 300km in one MWD cycle, so you pressure entire grids easily. They also travel at over 2.5km/s with no MWD ability, so still faster than most nano cruisers in the game without snakes/links making them incredibly difficult to kite even when the ability is on cooldown. These light fighter turret attacks have an explosion radius of 122m and a explosion velocity of 126m/sec. To put that into context, A max skilled heavy missile being shot by a player has a explosion radius of 105m and an explosion velocity of 122m/sec. So light fighter turret attacks are very similar to navy HML application, being about 15% worse. A Caracal with 5x Heavy Missile launchers and 3 BCU IIs has a DPS of 299. This Nidhoggur as mentioned has a DPS of 1777. So a Nidhoggur is essentially doing the DPS of 6 max skilled T2 fit triple damage mod HML Caracals with just the non-limited turret attack alone against cruiser targets, that’s incredibly powerful! And the problem: Fighters are currently the best anti-subcap weapon in the game by a large margin. Let’s move over to see how well they actually apply to actual targets. Starting with Frigates. I’m going to use the standard roaming Imperial Navy Slicer as an example target. I think it’s very fair, It doesn’t get a sig reduction bonus like the Retribution or Interceptors. It does however, not use any defensive rigs (Both Armor and Shield either slow you down or increase sig so improve fighter damage), nor does it have a plate or extender. In Practice most frigates would take a lot more damage than the Slicer does from fighters, I’m also fielding 2 nano-fibres, so it’s going to be faster than most brawling frigates and therefore mitigating more damage. The Slicer is also just naturally faster than most frigates and has a low base signature. It goes 3786m/s with a signature radius of 228. How much DPS will our Nid being doing to this slicer? This is more DPS than if the Slicer was sitting on top of a 2x Magstab Neutron Blaster Daredevil with void loaded BTW! So; Against a completely untackled, relatively fast and light frigate, it is out DPSing the highest damage close range brawling ships in the size bracket. A Daredevil can be kited outside it’s measly 2km optimal range on void. You can’t kite 15km/s fighters. Let’s take a look at a brawling Merlin fit to see how much it takes from a Nidhoggur. Remember, I am just using the turret attacks in all of these examples, I am not using the missile attacks would result in even more DPS! Our completely untackled Merlin is taking 552 DPS! That’s more than a Rapid Light Caracal with 3x T2 BCU and T2 Fury and heat does on paper! Remember that the Merlin is fighting up close so it’s probably going to webbed, taking even more damage from the fighters. Our Merlin is actually, unironically, better off sitting on top of a CODE. Ganking Catalyst than it is with Nidhoggur fighters using only the turret attacks on it. Well maybe it’s just frigates that have it rough! Let’s move on to an Example cruiser. To keep things relatively consistent, I’ll use the Omen Navy Issue as an example cruiser. Just like the Slicer, it doesn’t rely on buffer tanking modules that will make it take more damage from fighters, nor does it use rigs that slow it down or increase it’s sig. It’s also one of the fastest cruisers in the game and has a relatively low signature radius for a Cruiser, it’s also using 2 nanos. You guessed it! 838 DPS! Again, just like how the Slicer is better off sitting on top of a gank fit Daredevil. Our Omen Navy Issue would also be better off sitting on top of a triple Magstab Void M Neutron Vigilant rather than taking damage from ratting Nidhoggur fighters only using the turret ability while completely untackled at max speed. Let’s take a look at something Beefier. Like a Brawling Moa. Oh how this Moa would love to sit on top of a Vigilant! This Moa would also rather sit on top of a max gank V I N D I C A T O R! than have fighters on it. It takes close to max damage from the Nidhoggurs raw output. Same Moa, just with MWD off. 1760 DPS taken!!! without using the missile ability at all. Yeah it takes more damage with it off. (Like with all the other ships I’ve already posted in these examples). I just wanted to show off the fact that the MWD on numbers are actually more favourable, and I’m not using them to strengthen my argument. Untackled Moa without MWD running is only about 20 DPS away from taking max damage from the Nidhoggur btw. 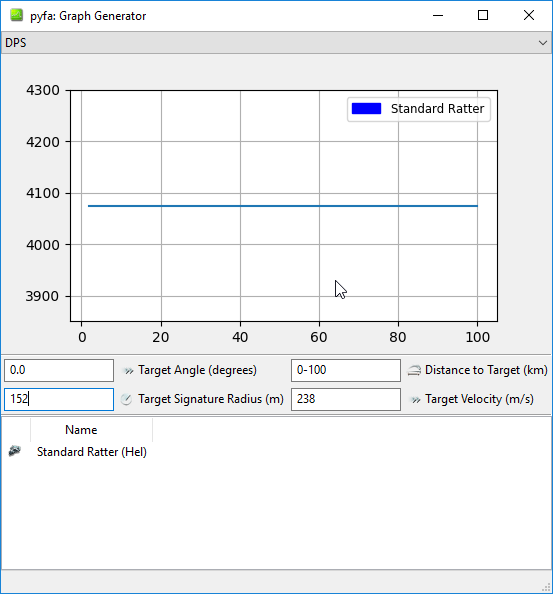 The Moa I posted doesn’t even have a shield extender and literally only has 3 shield rigs increasing it’s sig. If the Nidhoggur actually used his missile abilities on it. The Moa, while completely untackled would take more damage per second than if he was sitting on top of a max skilled T2 Disintergrator 2x Entropic Heatsink Leshak at max ramp… Or a Polarized Vindicator. Yikes. I think this shows that Light Fighters are outperforming Anti-Subcap Subcap roles (That’s a mouthful to say) easily by a factor of 4-5x. It would take 5 Anti-Support HACs to be able to actually out-damage a Nidhoggur versus a completely untackled Moa with 3 shield rigs fit. Buckle in, We’ve just scrapped the tip of the Iceberg. Super Size me. This is pretty much the Standard Ratting Hel. You can forego the CCDFEs if you want for Hyperspatials for more Krab Power versus less buffer tank. I think a Cloak + 500mn MWD for 10s aligns is realistic for safety. 15.5M EHP before links and 78%~ Average resistances give you a huge safety net when dropping under your own capital umbrella. I’m not using implants but obviously a Genolution set for combat, or Nomads/Hyperspatials with a few shield hardwirings would also improve the fit listed. Our Light Fighters are back, and now much stronger, thanks to moving the 1 enhancer to a Omni now. The Hel naturally has a higher base damage bonus and we’ve upgraded T2 DDAs to Imperial Navy. Even though we’re only using 2 light fighters, thanks to the raw power of the Hel and Faction DDAs, with Turret attacks they are doing 1535 DPS versus the 1777 DPS of the 3 from the Nidhoggur. They are joined by our new Heavy Fighters! These deal a staggering 4645 DPS with their turret attacks alone. Our HFs have an explosion radius of 222m and an explosion velocity of 153m/s. For Reference, a Precision Cruise Missile fired from a max skilled player has an almost identical explosion radius of 223m, but with a lower explosion velocity of 124m/s. So our Heavy fighters are out-applying precision cruise missiles, and aren’t too far away from fury Heavy Missiles. It would take 8! 3x BCU precision cruise Ravens just to out damage the 3 heavy fighters, with worse application. And about 16 of them to outdamage a Hel versus a cruiser sized target. Let’s go back to our earlier examples, first, the Slicer. Untackled Slicer takes 616 DPS from a Hel. Better for the slicer to sit on a CODE Catalyst or be shot by a RLML Cerberus. Ouch, Nearly 950 DPS! That’s worse than sitting on top of the max gank Vigilant with drones on you. 1554 DPS – Max Gank Vindicator DPS while completely untackled. Completely untackled Moa with just 3 shield rigs… yeah… Better to find TWO VINDICATORS than have just Hel turret attack fighters on you. Same Untackled Moa, this time with his MWD cut off. 3680 DPS. LOL. What if we use the Light fighter missile attacks too! Remember that this is literally just a Moa with 3 shield rigs, completely untackled, we’re using a Hel with only 2 Omnis, and no heat on them. What would happen if we apply just one web to the Moa, from the Cyno that brings in the Hel. I don’t think any comment I can give will give credence to just how absolutely broken this is. Welcome to 100mn AB/Retributions online, stay for awhile, but not too long… Hopefully. Problems in the Capital: FAX and Cyno Balance problems and the death of the escalation chain. This is going to be somewhat rantish – I have wanted to talk about this for a long time but there is a lot of topics to cover and I need to talk about different things as they come to mind. Capital Balance, Faxes, Proliferation, Cyno balance and the Mobile Cynosural Inhibitor have all been hot topics of discussion recently on eve forums, Reddit and in eve discords. Fighter Balance has been brought up again in the wake of ECM’s re-purposing in tomorrow’s patch, and the proposed limit of 1 capital ancillary shield booster has also awoke similar discussions surrounding the survivability of Rorquals and FAXes. So let’s start from the top. These are my following observations having followed the now-scrapped FAX balance proposal with great interest. Faxes have two key balance issues right now. The first is the lack of interactivity with sub-capital ships, the second is the power that they bring for lack of cost and skill. The Issue with Triple Capital Ancillary Shield Booster fits, and with Dual Capital Injector fits (Or Multi Heavy Cap Injector fits) is that Capacitor Warfare is of little or no consequence for Force Auxillarys and Rorquals. This means that the only way to kill a FAX or Rorqual is by bringing enough firepower to break through their active tank. Most ‘Cheap Fit’ Faxes can easily surpass a 30,000 DPS Tank, usually this amounts to about a 1.2 billion ISK loss after insurance. The Average Skirmish HAC (Cerb/Muninn), T3C (Loki) or Bombers, to name the most popular skirmish ships used in offensive roams, deal about 500 DPS. This means that to deal with a dropped FAX, you need over 60 of these skirmish ships in order to destroy one. When you factor in support ships such as logistics, probers, scouts, command bursts, dictors, ceptors, it’s very easy to require close to or over 90-100 people in a fleet in order to destroy one FAX. Here a few example FAX fits that can almost completely ignore energy warfare options, while tanking over 30,000 DPS when flown optimally, while also keeping a very reasonable budget of less than 2 billion ISK to lose when insured. Using Genolution Implants, and more expensive faction options. It’s possible to increase the capabilities of FAX tanks well into the 50k DPS range when you have a budget of 6-8b. This is why these FAXes are such as a huge issue in wormhole space, in addition to pimping them out, certain wormhole effects like the Wolf-Rayet effect, can push FAX fits into absurd limits. It’s possible to get FAXs that can tank over 120 Cruisers, and with the mass limits on wormholes, bringing such a fleet almost requires a full scale eviction. Remember that we are only taking about breaking one FAX right now. While old ‘Triage’ Carriers could probably get the equilvilant level of tank, they could also get destroyed and countered by Neuting Bhaalgorns, Legions or swarms of Welp-Canes to name popular options. The current FAXes mostly ignore all energy warfare, whether by using triple CASP fits or injector fits. And this is the main issue with FAXes for small-medium sized groups right now. A great slew of balance issues we have faced from Structures has been based on CCP’s very generous grandfathering of old systems. Citadels essentially are combining the pros of both the old Outposts and POS’s. CCP has generally been very cautious and making sure that if you could do something in the old system you can continue in the new system with the same, if not with more advantages, as to not disrupt anyone – FAXes are no different here, the current FAXes we know are just as powerful as an old Triage Carrier – if it was properly managed with correct refitting, but now without all the skill, nuance and preparation that combat refitting once had. The result is that an Apostle or Minokawa alt is now expected, and often required for nullsec and lowsec capital groups. The issue that bigger groups have with FAXes are generally how effective they are at saving more critical assets such as Titans or Supers. FAXes provide so much power for little cost, and with the current mineral proliferation we have from Rorquals, they can be produced en-mass easily. Just one FAX can neutralise as many as 8 Dreads from a Dread-bomb shooting at a resist fit Super or Titan. A Damnation linked Guardian with 4 large meta armor repairers, repairs 381 HP per second. The Minokawa I linked with 3 Meta Capital Remote Shield Boosters and it’s own links, not stronger CS links, reps 6773 HP per second. This is close to 18x as much, so each cheap FAX, generally speaking, is going to provide as much repping power, if not more using CONCORD reps and more expensive fits – Than 18 Logistic Cruisers! Even with 2 reps fit, we’re still looking at about 12 T2 Logistic Cruisers repped per FAX. About 5 Dreads neutralised. Because of this fact, Null groups use what they refer to as ‘Suicide’ FAXes. Generally these are well fit buffer tanked FAXes with the capital emergency damage control. Because FAXes are so powerful, they must be killed first in any capital engagement, so these ‘suicide’ FAXes plan to stay alive and waste as much time as possible in a big fleet fight. Once you lose your FAXes, and the otherside still has FAXes, there is little you can do, so obviously, and rightfully groups decide to deagress, decommit and evacuate once the initial FAX trade has taken place or has generally been decided. This frustrates a lot of null players as often you’ll kill a few dozen suicide FAXes while the ‘real’ assets, the Super-Carriers and Titans escape. An Example fit from GoonSwarm. This is mostly a consequence of there being no way to interact with triage remote reps. While Guardians/Basilisks can be disrupted using command destroyers, ECM, Damps among a few other tactics. FAX Machines are immune to all of these. There is currently no limit to the scaling of Remote Repair, and no form of Anti-RR/Anti-Healing Debuff that are present in other MMOs or Genres such as Mortal Strike from World of Warcraft, or Ignite from League of Legends. I think a good point to think about would be insurance on FAXes and Capitals in general. Right now they are classified as Tech 1, in the same way as a ship such as the Megathron is. This means that you get about 70% of the cost back in insurance, and using nullsec industry you honestly can get pretty close to 100% of the cost back. It wasn’t too long ago that GoonSwarm was self destructing Charons to get ISK from mineral stockpiles. This makes FAXes easily replaceable, an Insured FAX hull is only going to be about a 250-300m isk loss before the fitting is added at present, which is cheaper than some HAC hulls. Now onto Rorquals, Rorquals can essentially get the same, if not slightly more tank than a FAX machine can. Using a very similar fitting strategy to the FAXes I linked at the top of this article, one can make a Rorqual fit which ignores almost all energy warfare that requires over 80 skirmish ships (Realistically about 110 man fleet) in order to destroy. What this essentially means, is that any Rorqual pilot who has a good fit, skills, plays optimally and is not what is known as a ‘spodbrain’ is almost immune to any kind of roaming gang. He requires an enemy fleet of cruisers or stealth bombers approaching the triple digits in order to actually die. He also has tools such as the 7.5 minute invulnerability and refresh from the PANIC, 1.2k DPS of drones, neuts/smartbombs/RR and Links. Obviously not everyone plays optimally, however the game should obviously be balanced as everyone is. Because of the Critical mass needed to kill a single optimal Rorqual or FAX. It has dampened a lot of the tasks and targets that Junior FCs and small roaming gangs could kill. It is currently the norm to fit a Cynosural Field onto any ratting Carrier or Super, Rorquals, or any sub-capital ship that can spare the high slot, such as Rattlesnakes and Ishtars. Because an optimal FAX as mentioned, usually requires over a 60 man gang to kill it, or the target of it’s RR, it means that when we are talking about optimal players – Players on comms, in fleet, with a cyno. They are near immune to the typical ‘skirmish gang’ ‘drunk roam’ or ‘small gang roam’. We’ve seen hulk fleets become Rorqual fleets, on Athanors or Tataras, Ratting battleships are now Ratting Carriers which can be permanently aligned, with 1.3million EHP and a cyno to teleport a 60k DPS tank in if it does get caught. Tethering took away station camping, and a ratting Nidhoggur applies more DPS to frigates than a daredevil does, more DPS to cruisers than a Vigilant does, and more DPS to Battleships than a Vindicator does, 12km/s Einherjis cannot be kited, and a 1.3million EHP ship with great resists can easily be saved if defanged. This has sparked talk about the Mobile Cynosural Inhibitor, as mentioned in the minutes and brought up by me. As you more or less need one to kill a player in fleet who is within 7LY of that alliances staging. Cyno Inhibs are underwhelming in many ways, they take 2 minutes to online, they take up 300m3 so it’s near impossible to put them in your scouting ships, ceptors or dictors who are going to be first on the field to trigger the defensive cyno in the first place, they are very costly at 50m a piece to badly-counter a 2m module fit on almost every ship, their HP layout, which was designed to not be immortal under FAX reps, of 10k shield, 10k armor and 150k Hull, means that they can actually just be killed by a solo ratting super through infinite amounts of reps. Ultimately, having thought about it, I think the problem stems more from how powerful of a defensive tool the cynosural field actually is. There is almost no downsides to losing a highslot and an inconsequential amount of fitting for anything that is bigger than a frigate, for the ability to have mass amount of capital ships teleport to you. Any change or solution to the cynosural field in my opinion needs to accomplish a couple of things, firstly, you don’t want to impact move ops. Secondly, you don’t want to impact hunting much either. None of these suggested changes would apply to Covert Cynosural Fields. 1. Add a ‘spool up’ timer to Cynosural Fields, with no spool up for bonused ships such as Force Recons, T3Cs or Covert Ops, potentially HICs too if it’s felt needed for super hunting. Suggested time of 1-2 minutes. This would make defensive cynos take longer, meaning more time to kill a target caught out of position before he can get capital help, this would generally mean that ships like ratting carriers, Ishtars and Rattlesnakes would die to 10 man gangs that manage to tackle them. This wouldn’t really impact move ops much, as big alliances can easily just use a Force Recon or T3C to instalight cynos, and a 2 minute wait isn’t a big deal on large move op and can be prepared beforehand, perma staging cynos are unaffected. Since Covert Cynos are unaffected, this doesn’t affect black ops hunting groups, and T3Cs and Force Recons are generally the preferred ship for dropping on people anyway, so wouldn’t hurt offensive uses. The only real downside I see is making it harder to bait with things like Cyno Procurers or things like Cyno Interceptors warping in and instantly lighting a cyno, but I honestly think that might be better for balance. 2. Add some kind of debuff to Cynos, that affects drone/turret damage and drone mining yield, like -30%. I don’t like this one as much, but it would encourage more risk/reward. Do you take the defensive cyno to bail you out but lose 1/3rd of your mining yield or site clear times. This again, wouldn’t affect move ops, or hunting much at all, and would only really be a downside when used defensively by Rorquals, or PVE ships. It’s easy to laugh and poke fun at the little guys, but they are a needed part of the ‘escalation chain’. Dangerous small gangs that can’t just be countered lazily by capital ships means Junior FCs in charge of 40 man caracal or hurricane defence fleets again, FAXes that can be neuted means more vibrant doctrines than 100mn AB kiting gangs, or Retributions. We currently have a huge problem with proliferation of bounties and minerals, and I think having the farms and fields actually be farms and fields rather than fortified bunkers that they are now is going to help with that. Obviously there are still many other problems with capital balance, Super-Carriers in particular are exceptionally good, better than any single dedicated subcapital ship is at being an anti-subcap ship. Long Range fighter bombers easily apply over 1k DPS to any generic cruiser that doesn’t have an oversized afterburner, on top of that, supers have full tackle with Dromis and Sirens, HAW Titans one shot jackdaws at 60km, I don’t want to go too in depth with that right now though as the article is already long enough. The Current game really feels to me like you have to be part of a large group in order to accomplish anything that isn’t just killing spodbrains and AFK VNIs. FW Tiers and Tears. Why FW Missions are outdated and need to go. Today we will explain the Factional Warfare Tier mechanics in depth, and look at the problems with the existing system, and possible solutions. On the Warzone Control bar of the FW UI, you’ll see a bar with your friendly faction on the left, and the enemy faction on the right. In this case, it’s for an Amarr pilot. The Warzone Control Bar is increased by Warzone Points, Warzone Points are based on the number of systems that a faction controls, and how many upgrade levels that system has. For example, in the Amarr vs Minmatar warzone, there are 70 systems total. This means that there is a total of 420 points in the warzone (70 from the systems themselves, then 70×5 from the tier points). Upgrading systems is done by depositing Loyalty points into the faction controlled Infrastructure Hub. Here you can see an Ihub owned by the Amarr Militia. As you invest more points into the Ihub, you will reach more milestones, up until 200,000 LP invested, which unlocks the highest level of V. You can put more LP into the Plex, up until, 300,000. Which the additional 100,000 serves as a buffer. The buffer is useful because whenever a plex is captured by the opposing militia, 10% of the Base LP reward from capturing a FW plex is removed from the Ihub. For example, capturing a novice plex in an enemy system would result in 1,000 LP being removed from the Ihub. The amount removed is not based on Tier and is always the base amount. Additional levels grant addition warzone points which contribute to the overall warzone tier as mentioned, you also gain up to a 50% reduction in broker fees and Industry job costs. So we’ve mentioned tiers a few times, what exactly does the warzone tier do? Well, it multiplies the reward you get from successfully capturing a plex. Tier 2 is considered the ‘base’ tier, and will not alter the base payouts of plex, Tier 1 awards half the normal payout, and tier 5 will offer more than 3x the base payout. The problem with the Tier system is it heavily incentives players to join the winning side. As of right now, Minmatar are Tier 5, Amarr are tier 1. That means that a Minmatar player capturing a plex is earning 550% more LP than the Amarr Player, which is a huge amount. While the market obviously corrects itself to a certain extent, as the LP value is decided by players, and larger supplies of LP means lower ISK:LP values, there is no denying that this is a huge disincentive for the losing side. Tiers are based on a percentage of the overall warzone points. I mentioned earlier that the Amarr vs Minmatar warzone has 70 systems, and a maximum of 420 points. Tier 2 is awarded when you control 20% or more of the warzone points, or 84 points and higher, Tier 3, 40%, Tier 4, 60% and Tier 5 at 80%. The Tier doesn’t also alter the plex payouts, it also alters mission payouts and kill payouts too. Speaking of missions, they are the biggest problem in factional warfare right now in my opinion, almost every FW group I talked to agrees. Let’s talk about the missions. FW Missions are easy to complete missions (Generally speaking), a large percentage of them can easily be blitzed, usually killing a single commander, a few industrials, or a structure, Gorski Car has a good guide for farming them on the Minmatar Side if you want to see how ridiculously easy they are to complete. The Game Design of them made sense when they were created, they are easy to complete but have you travel into the enemy side of the warzone, the purpose of them was to have a player be able to complete them in a PVP ship and have that ship travel throughout the warzone in order to generate content. Unfortunately, the missions are very dated, have been completely figured out and are usually run by ships which minimise any risk whatsoever in travelling, while usually clearing them in a few minutes each, minimising exposure. Stealth Bombers, Cloaking ships like the Stratios or <2s align time Sniper Hecate/Jackdaws can complete these sites, which having almost no risk whatsoever in their use. Missions are taken in stacks, you pull 9-10 missions at a time, using multiple FW characters to pick up missions that are suitable for blitzing, you then use those characters in fast warping ships like travel ceptors to spawn the missions, once warped to, FW missions act in a similar way to FW Plexes where they become public beacons that appear on the overview for everyone. The Mission Farmer then uses his main characters in Bombers/Jackdaws/Hecates or whatever incredibly low risk farming ship to complete the missions, The mission farmer is further circumventing more FW PVP too by using characters that aren’t even in FW so that you must take a suspect timer to engage him, and to get around the risk of travelling through hostile FW faction space and the station lockouts. There is even a Minmatar Farmer right now who runs the missions on Amarr characters so Amarr FW PVPers can’t even engage him without taking standing losses and risk being kicked from FW themselves. Another problem with the missions is the fact that the NPCs in them will often swap to friendly militia players or gankers attempting to kill the farmers. Making it even more difficult to kill them even if they are somehow caught with all the risk minimisation they already have. Missions also reward absurd payouts, A level 4 FW Missions pays out about the same as capturing a Large Plex does, however, a L4 FW mission can be completed in under 3 minutes easily, while chaining multiples together, a Large Plex takes over 20 minutes to capture, can be interrupted by and rolled back by opposing FW characters, and requires an in FW character to complete. Making them far more risky. Training a pulling alt for missions is also incredibly easy once you already have access to the FW Missions. FW Missions award very high standing boosts to the militia corp when handed in, so by sharing the mission awards with your alts, you can boost them up quickly, and every 1.00 interval with FW corps, you will get promoted, causing a large faction standings boost. This allows you to chain decline a lot of the non-blitz-able missions. The biggest reason why the missions are hated by FW groups is the fact that they just don’t interact with the warzone at all, are often simply exploited by outside groups which have puller alts that have never fired a shot in the warzone, and never will. Because Missions are so much more efficient at earning LP than plexing directly, they dilute the value of the LP earned by those who earn it through PVP. Picture this, You join the Amarr Militia at Tier 1, despite the 6.5x lower payouts!! You fight and successfully push the Amarr Militia to Tier 3 despite all odds, you’ve taken back your sides space. Your reward? All the LP you’ve earned plummets in value as mission runners who don’t interact at all and were on the other-side until now flip and crash the market. Missions are by far the biggest problem in FW right now. The ‘value’ of PVP would rise and it would be more attractive if FW missions were not diluting the value of LP through sheer demand, which would hopefully cause more players to take part in PVP in FW in the plexes, and those already doing it can hopefully keep doing it without having to earn ISK through alternative methods, more PVP for all is good. I hope this demonstrates just how bad the missions are for FW, the only value in them is the slight importance they have on some FW systems when attempting to attack. Now that we’ve berated missions, let’s go back to the Tier system, right now it completely discourages loyalty. 6.5x more payouts by flipping sides is an enormous difference. I also don’t like the fact that Tier 1 feels more like a punishment and further discourages joining that side. Instead. I would like to see a system similar to the project discovery rank system for Players and Corps in FW. The goals of the Tier System when CCP introduced it was to make the warzone feel more like a huge conflict rather than a small set of skirmishes which simply change systems every once in awhile, I completely understand that, and it does fulfil that purpose, however, the current system does not reward loyalty to a faction at all. For a healthy and interesting warzone, both sides need to at least feel balanced and you want the possibility of a comeback to be on the cards, you want to generate stories and conflicts that span a long time, you want groups and players to stay put. The AvsM warzone is the perfect example of why the current system completely discourages healthy consistent action. 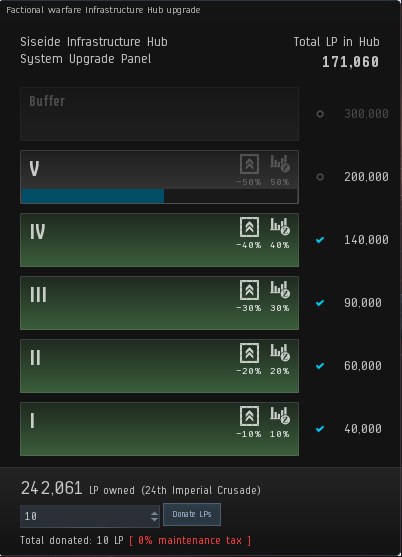 Whenever either side hits Tier 5, you can correlate this to about a 30-40% drop in kills in the war-zone on zkillboard.com – this is because fresh blood is completely discouraged from joining the losing faction, why join the uphill fight where you’ll be earning anywhere from 4.5-6.5x less reward for the same effort, you’ll be Oplexing vs Venture Dplexing, and fighting not only your enemies but hordes of farmers which will come out in droves to Dplex highly contested systems for easy LP. Not only that, but once one side hits tier 5, there is far less locations to Oplex, this might concentrate fighting if there is a last stand happening, such as what is happening in Sahtogas at the moment. But generally, The Tier 1 Side has less players to shoot. Tier 5 players are encouraged to abuse the risk free missions and accumulate LP for a big payout instead of being in Plexes where they can be more freely engaged. So Less PVP is happening, the PVP is focused more in big fleet fights which the losing side is less likely to be able to achieve victory in. The Tier 5 players get bored due to winning and not encountering new resistance, and simply farm missions and then stop playing. This is why I would like to see the Tier System nerfed, and instead, add a new FW Rank system for players and corporations which effects payouts. Here is an example of a system that I would like to see. The rank system would be simple. you can level up from 1 to 999. Just like project discovery, long term FW players can brag about their rank. The rank should be per faction. So swapping to another FW faction, for example, leaving caldari and joining gallente, you would have to start from rank 1 again to encourage loyalty. Have the first levels from 1 to 75 increase your LP payouts from 1 to 75%. And you level up by capturing plexes or getting kills on the enemy FW faction (With the kill value being used to determine how much experience you get like the bounty system so it cannot be abused). And have some special BPCs (like 1 run FW frig/cruiser/BC/BS BPCs) and similar faction themed rewards at milestones and to give a reason to level beyond 75 without increasing the LP payout %. Corps should also have a corp rank, maybe 1-25 for LP rewards. and being able to achieve 999 for ultimate bragging rights. With ranking up done in a similar way, just needing more experience so a group of players would need to level up. with 1-25% bonus to LP Payouts. I would like to see this corp rank because it would give an immediate benefit to joining a corp rather than staying in the NPC FW corps. I.e. Join my FW corp we are rank 20 so you get 20% more LP! would be a good selling point, and would also encourage corps to stay in the same faction rather than hopping. Players who join corps are way more likely to stick around, and this would be a good carrot for people to get involved into established FW groups. Tier 1 should become the base, no penalty, with Tier 2 offering 12.5% more LP, up until 50% more at tier 5. The Max LP would be similar to now. Tier 5 + Corp Rank 25 or higher + Player Rank 75 or higher would be a 1 x 1.25 x 1.5 x 1.75 multiplier, or 3.28x total (As opposed to 3.25x now). But it would require a player who has taken part in the warzone through PVP and plexing. This would nerf mission pulling alts that never take part in PVP a lot, reward long term players, and give a reason to stay in a losing faction. A player who takes part a lot in the warzone in a well established corp, but the faction is losing and is Tier 1 would get 1.75 x 1.25 = 2.18x payouts, which would be between current Tier 3-4. Making it way more worthwhile to stay put where you are. Joining the winning faction but changing to a different faction rank would only be a 1.5x payout multiplier. TL;DR Delete Missions, maybe change the Tier system. Are ‘Timer Rollbacks’ really the solution for Factional Warfare? This is an idea that has been suggested several times over the years, the main gist of the complaint/suggestion is to be able to combat farmers and players who want to contest/decontest systems or gain LP from plexing while avoiding combat with other players. The proposed mechanic would mean that instead of progress being halted while a militia player is not inside the plex, that it would instead roll back towards a neutral position. This would mean that one PVP player could stop farmers from taking a system. What commonly happens (mostly in defensively plexing) is that if a farmer is interrupted in the large plex for example, he simply goes to the medium or another plex, and the PVP player has to constantly chase and trade time 1:1 with the farmer and cannot undo his progress. This would allow PVP players to combat these farmers easier and perhaps provide more ‘ante’ to fight for the FW site. Timer Rollbacks is also a feature that has been pushed by CSM Candidates in the past, as well as something that CCP has said they would like to do. The main concerns with this proposal are that it would allow neutrals/pirates and non FW players to influence the war zone indirectly. I.e. Caldari own Tama, but they do not live there or even control the plexes, so Gallente are trying to take it, but Pirate groups are preventing the gallente from taking it by constantly rolling back timers despite the fact that the Caldari are non-existent in the system. It is also worth mentioning that this would be a much bigger buff for defenders, and that might be a bad thing considering the advantages the defenders already have, and could cause more stagnation in the warzone. Warzones already stagnate when one Militia achieves dominance, see the Gallente vs Caldari Warzone recently when the Caldari achieved T5. Since Farmers, players who are only interested in making ISK, or just players who have not tried FW yet are highly incentivised to join the winning faction, it’s already an uphill struggle for a losing militia to make a comeback. Timer Rollbacks would probably result in this being even more difficult to achieve. I think there is already an argument for progress already made on a plex might also be a driving force for someone to come back to a plex too. I.e. a player has put 10 minutes of the 15 minutes progress into the small when he’s killed or interrupted by pirates. Does he go back to that plex with a new ship/reship to deal with the pirates or hope they’ve left with the knowledge that he’s already got 10 minutes of work into it as an incentive? This is Anecdotal evidence but I’ve had several great repeat fights with players probably because of the progress already invested on a Plex. If I kill someone in a Plex, or I’m killed. I can go back to that plex in a more suitable ship with the knowledge that I’m either going to get a rematch and a fight waiting for me, or a plex that’s already closer to being captured providing me with ISK. In a world with timer rollbacks, there is no need for an enemy FW player to stay in the Plex that he just killed me in if he cares about the system, there is also less incentive for me to go back there, assuming the player that just killed me has moved on, I’m going back to a plex that has probably reset and there’s no advantage to be in that plex as opposed to another one closer to me if I only care about ISK, likewise, the player who killed me will be less incentive to stick around with the lower driving forces for me to return. This will result in less ‘repeat fights’ and less struggles over plexes, especially from neutrals. Alternatively, I also believe that many players asking for timer rollbacks generally do not think about ‘valid’ reasons for leaving a Plex, and how timer rollbacks will pressure people into flying more expensive ships, and higher end ships ‘best in plex’ style ships. For example, if I’m flying a Kestrel in a novice plex, and a Worm is on the outside and comes into a plex. I will have to leave as it’s impossible to fight a Worm in a Kestrel, this is obvious and expected. However, with timer rollbacks, I’m punished and lose progress for “running” from a fight I have almost no chance of winning. This makes it much harder for low SP, Low ISK players from advancing in FW. As anytime you have to leave a plex, even if it’s a valid reason, stalls out your progress. Alternatively, I’d probably leave from some ships like the Griffin Navy Issue even though I would fight almost everything that wasn’t pirate faction in my Kestrel. And I’d be worried that players in FW and pirates would trend even more towards higher end ships. FW already has somewhat of a high barrier to entry in order to realistically fight back in a plex. For example, in Novices, the ‘average’ FW player is flying a faction navy frigate. Ships like the Comet and Firetail are usually more common than say Rifter or Incursus. You can usually expect most FW players to be experienced in the ship they are flying, with most relevant skills to level 5, and flying a well optimized fit for winning 1v1 fights, as well are most likely skilled in flying it too. Most new players in FW flying Tech 1 frigates already have to run from the average fight or be destroyed in the majority of cases. I’d hate for the new guy flying a Condor to be punished heavily because he chose to run from a Garmur, and this slows down his progress and isk generation, slowing him down from getting to a point where he can realistically fight back and provide content and the fights people want to players in the warzone. In short, I’m actually somewhat opposed to timer rollbacks. While it would hurt farmers, it also hurts anyone who is legitimately looking for a good fight from new players and people flying more engageable and lower entry ships, and will probably push a warzone where the default already is all level 5 navy frigates into pirate ships + implants. It wasn’t too long ago that an Off Grid Booster was almost required in order to PVP in FW, (Or at least run from the OGB users). And I fear that timer rollbacks would result in the same upward pressure. Alternatively, roaming blobs become more powerful as they don’t even have to sit in the plex, just push someone out and then move on to the next system. Costing someone 2+ minutes off the timer each time they force a player out of a plex. Essentially, timer rollbacks reward the more powerful players and groups more. This could be a good or bad thing depending on your viewpoint. Instead, I think maybe there is a discussion around defensive plexing being possible in unfitted or throwaway ships without much commitment, and readjusting victory points to make them more normalised for time. Right now, Novices are the best plex since they are worth the same as a large plex, but since you can capture a novice in half the time, and with a significantly cheaper ship, they are much more attractive for farmers who want to control the system without commiting to a fight. I’d be really interested in hearing from FW players about discussing the merits/demerits of timer rollbacks and alternative systems. Enter the Abyss is coming may 29th, and with it, new solo PVE content that is procedurally generated. With the expansion coming, I thought I’d delve into helping you be able to deal with the new NPC threats in these sites. If you’re not familiar with the abyss then I recommend you check out some streams, or jump on SISI and play for yourself, or just jump right in on TQ. There are a few different group of enemies you can encounter, the new triglavians, rogue drones and Drifters, backed up by sleepers and seekers of their own. Just mastering these NPCs is only half the battle though, you’ll still need to watch out for the clouds, weather effect, triglavian structures and potentially other players on your return to known space if you’re successful. Grip: This is a battlecruiser version of the previous damage drones, they have much more HP and very high damage but move much slower with lower optimals too. You will want to kite these out. Despite being a battlecruiser it tracks just as well as the frigates. Unlike the rogue drones in NPC space, these drones have damage resistances on shield and armor identical to capsuleer ships. Strike and Blast have a slight lean towards shield tanking, where as Ember and Spark are more geared towards armor tanking. The exception is Grips, which all have omni resistances of 60% EM/Explosive, 70% Thermal/Kinetic. In addition to these, there are also logistic drones. They have Destroyer sig (75m) with 0% resists and frigate level HP so they are not very good at repairing eachother, but they can make grips and rogue drone battleships surprisingly durable, you’re on a 20 minute timer and every second counts. Next, let’s cover the ewar drones. It should be noted that while weak, these drones deal omni damage, if you’re relying on an active armor hardener to tank the DPS drones you may want to consider clearing these out first even if their ewar is ineffective! 10 DPS of omni damage each. Finally, there are Abyssal Drone Overlord Battleships that can spawn. These do a mix of Thermal and Kinetic damage. The best damage type to deal to them is usually Thermal, followed by Explosive. They have fairly bad tracking so getting under their guns can result in a lot of damage mitigation, they also have varying optimals but usually it’s between 30-40km before they’re firing in falloff, so you can kite them out if you can’t tank them. beware of them around drifter tracking pylons! The Triglavians are masters of their domain, using the new disintegrator precursor weapon, they ramp up damage overtime, becoming increasingly more dangerous the longer an encounter with them goes on, they also can sport remote armor repairers, making them tough to dispatch in groups, they deal thermal and explosive damage, with more of a thermal slant. In additional to these capabilities, there are several variations of triglavian ships specializing in a role. Warding: As far as I can tell this is identical to striking, but has more hull damage on it. All of these Frigate and Cruiser have a damage cap of 100% for their weapon, and gain 5% more damage each shot, although BS only gain 2% per shot, with the BS/Cruiser having a rate of fire of 5 seconds, and the frigate of 3.5. In addition to these prefixes, there is also an additional group ‘Vila’, ‘Vila’ gain the ability to spawn ‘Vila’ Swarmers which are weak npc drones which deal low amounts of omni damage, which can be annoying if you are relying on a reactive armor hardener. ‘Vila’ all lose their RR capabilities however, Vila also lose DPS, with ‘Vila’ Damaviks doing 1/5th the damage of regular Damaviks, and ‘Vila’ Vedmaks doing 2/5ths of the damage of regular Vedmaks. They also ramp slower at 1% per cycle instead of 5% like normal, but weirdly can stack up to 150% extra damage. Vila swarmers do not need to be killed to complete the site and will deactivate when the ‘Vila’ Triglavian that spawned them dies, so you should usually not waste your time on them. They can be easily disposed by the suppressor structures. Remember to check your drones because they like to waste time shooting swarmers. All Triglavians have the same resistances, shields are identical to capsuleer, armor is 60% EM, 48% Thermal, 53% Kinetic, 36% Explosive. Given how much more armor they have than shields, it goes without saying that you should ideally be shooting them with explosive damage if you have the option available. It’s worth mentioning that due to Vedmaks having a much higher damage modifier (10x instead of 1x on the Damavik and Leshak) that it actually deals more DPS than the Leshak and ramps up faster. Leshaks take significantly longer to kill however with their higher HP totals, stronger neuts and stronger RR. ECM drones can be useful at resetting triglavian ramp, as well as distracting them with drones and going outside their optimal ranges. Arch-enemies of the triglavians, and capsuleers, Drifters are engaged in a bitter war with the Triglavian collective for occupancy in the abyss pockets. Drifters have different Battleship sized options, Ewar Cruisers, Seekers and Sleepers that will assist them in claiming whatever it is they want in the Abyss! I’ll start with the Drifters as they are the easiest to explain. Drifters all have 50% Omni Resistances and do Omni damage, so you should always use your highest damage type against them, or whatever damage is reduced by the weather effect if you’re running a non dark filament. Drifter Ships start out as missing chunks of armor, shield and hull, presumably having successfully crushed a triglavian fleet before you arrived. Drifter BS track worse than rogue drone BS, but have higher optimal ranges. Drifters also sport 500 sensor strength so you’re not going to jam them. In addition to these Battleships, there are also Drifter Cruisers. All of these have some kind of ewar effect while also dealing 50 Omni DPS. Despite being called cruisers they have big signature radius of 400m. The special ability seekers deal 20 turret DPS each (Split between EM/Thermal), and 4.5 missile DPS (split between Explosive and Kinetic), where as the Lancers deal 30 turret DPS each. 6 missile DPS. Finally, we have the sleepers. These ships all pack remote armor repairers, have omni armor resistances, but of varying strengths, and come in different sizes. Unlike anything else, they also have active tanks. Make sure you keep moving against this guy because if you sit still his cruise missiles will hurt.